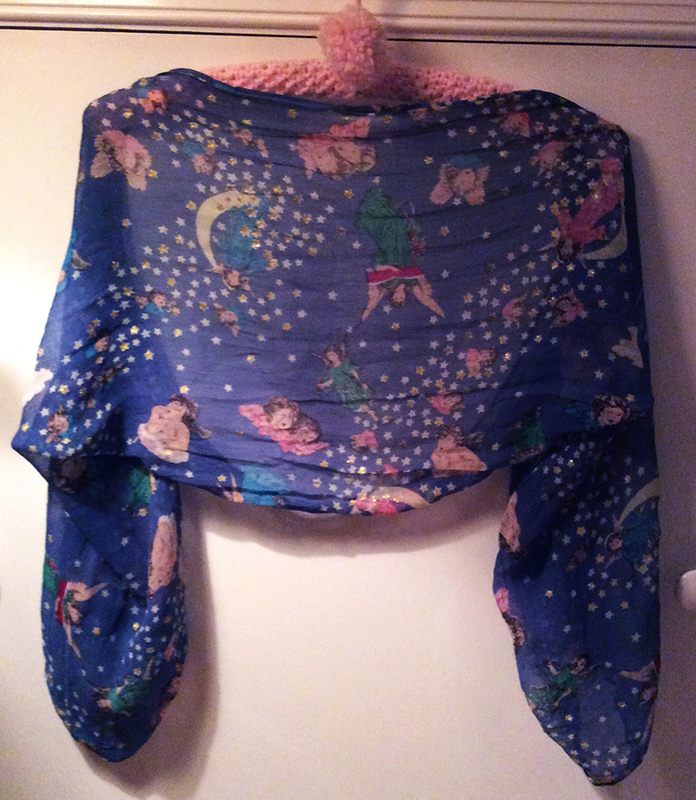 I was delighted to find this gorgeous scarf at my local thrift, buried behind about 100 of her ugly stepsisters. Although I don’t wear scarves, I couldn’t pass up this fabric which put me in mind of a 70’s super-glam brand called Sweet Baby Jane for the Plain Jane clothing company. I used to scour the High Street boutiques on the OSU campus in Columbus, OH looking for these rock-star boho retro fabulous garments. If you remember this brand, check the link above to learn what well-known company it transformed into during the 80s. 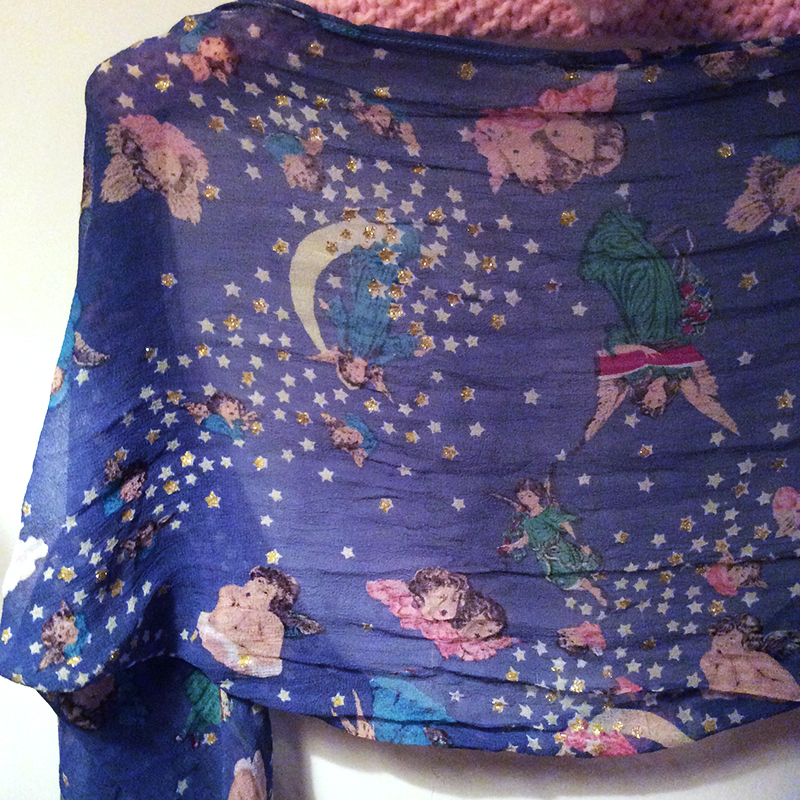 And with its angelic cherubs, the fabric also puts me in mind of iconic 80’s Italian clothing brand, Fiorucci. I remember squeezing into a pair of the skinniest Fiorucci jeans ever by lying on the dressing room floor in order to zip the zipper. I think they were gold. Metallic. If you look closely at this delicate, crinkly, sheer rayon, you can see that some of the little stars in the print are covered with actual gold glitter. Yeah, for $1.99 this was going home with me and I’d figure something out. Making this really could not be simpler.The bulk of this “project” is in locating a great scarf to use. 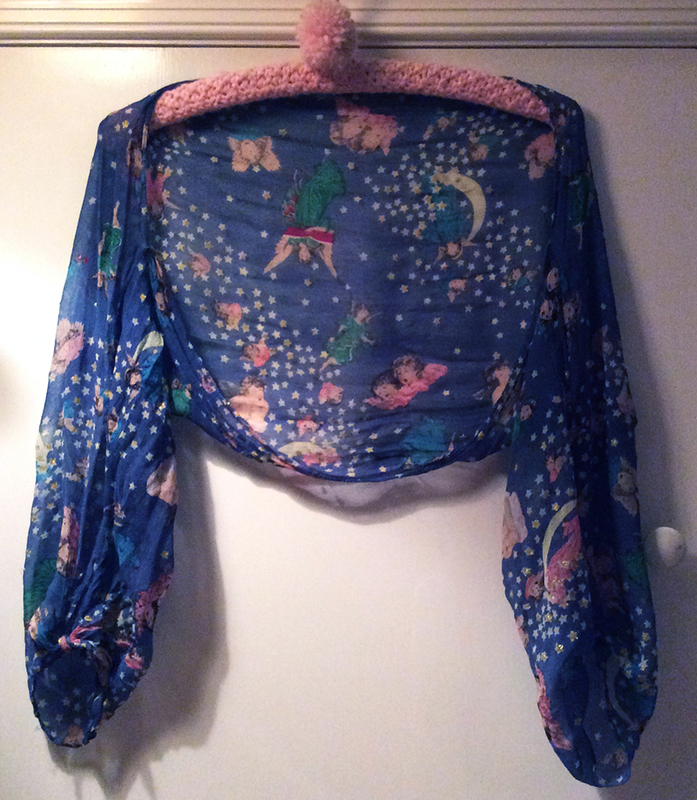 It should be an elongated retangle, not a square, and in flowy fabric. 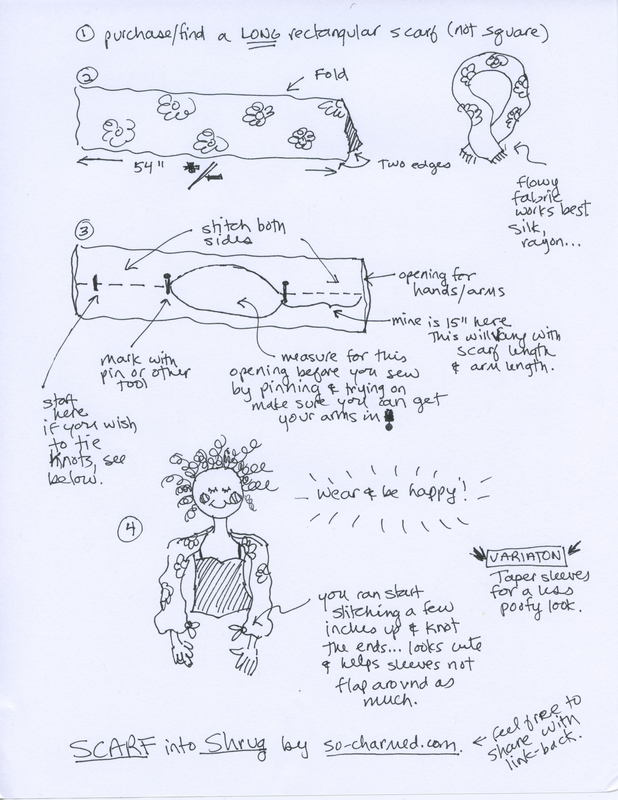 Measure to fit, sew two seems and voila!